SoftPlanet makes it possible for everyone to get free AVG AntiVirus Free download directly from our servers. There is no registration needed for downloading. When it comes to free antivirus applications, there is one app that really stands out from the crowd – AVG AntiVirus Free. Now there is a new version of the software - AVG AntiVirus Free 2016.71.7597, which is even better then the previous one. Basically, if you are looking for a free utility that can protect your PC from virus attacks, you really should pick this one out. Basically, AVG AntiVirus Free 2016.71.7597 comes with three main security components – Antivirus, Link Protection and File Shredder. The first one guarantees you that all known viruses, spyware or any other malware will be block and won't reach your valuable personal data or infect your PC. The Link Protection feature is the one that scans web, Twitter and Facebook links in order to be safe. Thanks to File Shredder, which securely deletes files, you will be protected by snooping as well. Like all antivirus solution, you can perform different scanning process. For instance, you can check the entire PC or just a particular folder or file. Please be aware that there are lots of additional features that will be available to you if you purchase the paid version of the software called AVG Internet Security 2014. Just like the previous version of the software, AVG AntiVirus Free comes with a Metro style interface, which became very popular in the past few years. The GUI is very well-structured. Thus you get quick access to all available features. Unfortunately, since this is a free AVG product, it comes with ads at the bottom main window, which allows you to upgrade it to its commercial version. The color scheme enables you to understand your PC security condition even at a glance. Basically, if everything is OK, it will be green and if not it will be colored in red. It is a very simple, but effective way of displaying. Thanks to its well-organized interface, AVG AntiVirus Free 2016.71.7597 is very intuitive and easy-to-handle software application. Most of the functionalities are a click away from you, so you can work with it very quick and easy. Once you have run some process, it is not mandatory to keep the main window opened. You can close it freely, however the task will still continue working within the system tray. It will notify you once it is ready. Thus you can continue doing your stuff without being bothered all the time. This new version of AVG AntiVirus Free seems to be even stabler and than the previous one. The performance is improved as well, thanks to some fine touches from the backend. 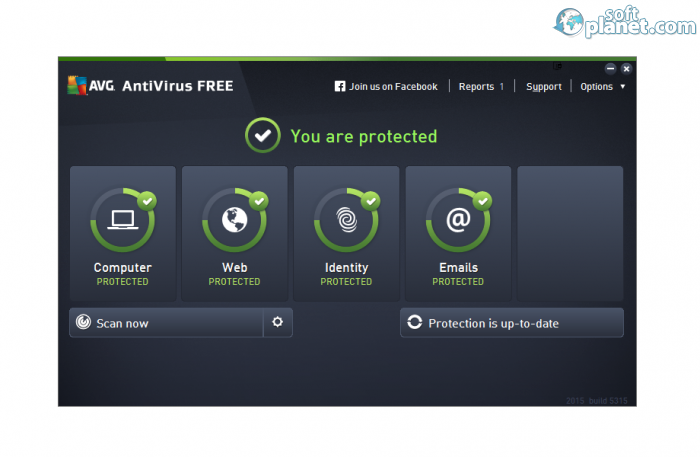 AVG AntiVirus Free seems to be the best free antivius software solution on the market these days. It will keep you and your data safe against online intruders. So if you need to add a free antivirus protection layer to your security shield, please do not hesitate, but download AVG AntiVirus Free. 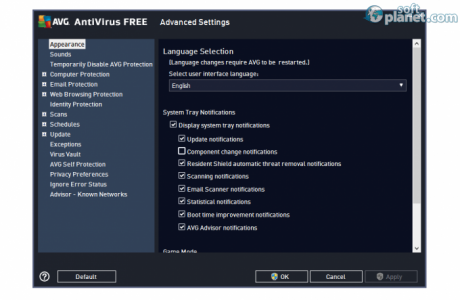 AVG AntiVirus Free is VIRUS-FREE! 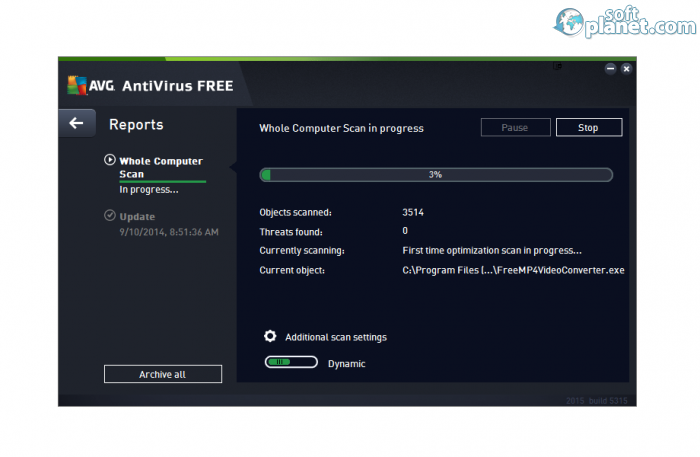 Our security scan shows that AVG AntiVirus Free is clean from viruses. 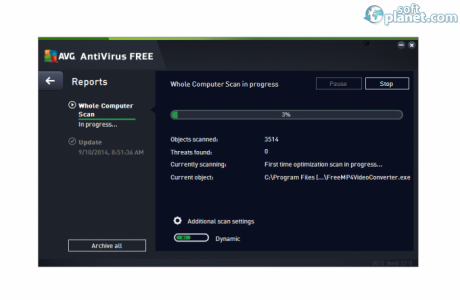 The current version of AVG AntiVirus Free has been scanned by our system, which contains 46 different anti-virus algorithms. 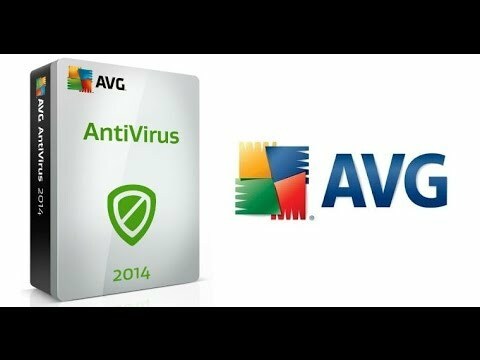 That ensures that AVG AntiVirus Free 2016.71.7597 is 100% safe for your computer.